Mr Drew opens an indoor mine and geology room. 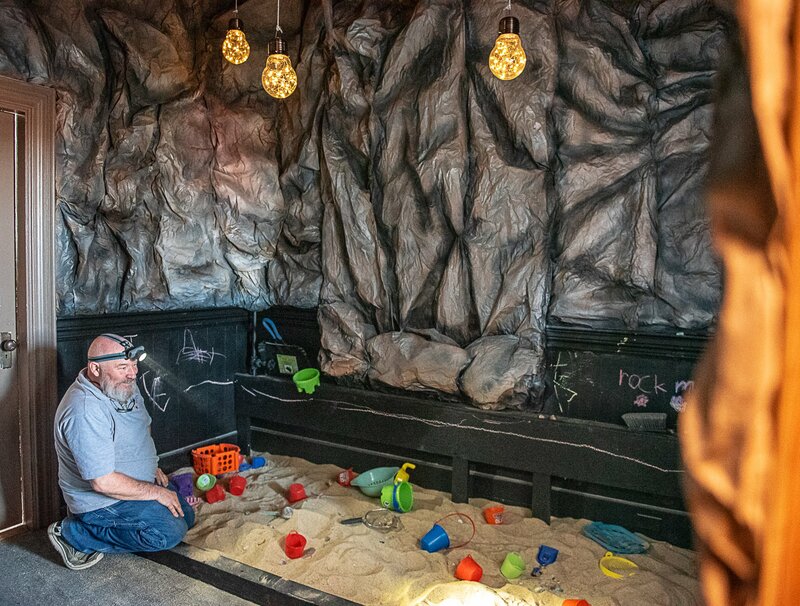 Drew Desjardins admires his new sand pit in the PrisSonny Mine exhibit Thursday in Lewiston. 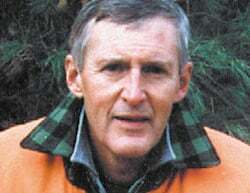 The mine is dedicated to Maine mineral collectors Priscilla and Sonny Chavarie. The sand pit will feature minerals, faux fossils and other hidden treasures for children to discover. Desjardins created the paper walls to mimic cave walls. The space will be kept darkened and children will use headlamps to discover their goodies. The mine, including a small Geology Room and hands-on activities, will open to the public Monday.